Mark Read and Andrew Scott, who have been named joint chief operating officers of WPP after Sir Martin Sorrell abruptly quit, know each other well. The board’s decision to appoint them and to elevate Roberto Quarta, the chairman, to executive chairman suggests the directors believe no one person can easily succeed Sorrell and they will take time to find a chief executive. Read, 51, the global chief executive of Wunderman, and Scott, 49, the chief operating officer of WPP Europe, are company veterans who have worked together closely for years in the past in Sorrell’s modest corporate headquarters in a mews house on Farm Street in London's Mayfair. 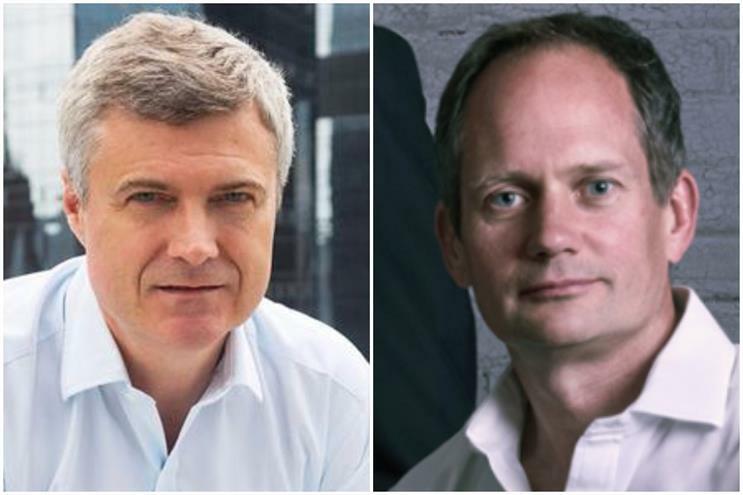 WPP will split the pair's responsibilites as joint chief operating officers. A spokesman said: "Mark will be responsible for clients, operating companies and people. Andrew will focus on financial and operational performance and implementing on-going reorganisation of the group’s portfolio." They will "report to and be supported" by Quarta, the company added. 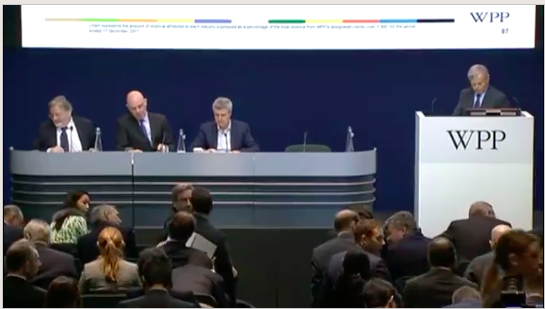 Their most pressing demands will be to communicate with staff, reassure major clients such as Ford, address investors and keep the WPP show on the road amid a series of major pitches including the defence of Shell and HSBC. "Mark and Andrew have always been a tight team," one WPP insider said. "I imagine it will be an easy working relationship." Read and Scott are British, have spent most of their careers at the company and have studied at the French business school Insead. Both also had short spells in management consulting outside WPP – useful experience given the recent challenge from the likes of Accenture and Deloitte to the big ad agency groups and the evident need for WPP to undergo restructuring after its under-performance in the last 12 months. Read is the more experienced and well-known of the duo and the more obvious candidate to be chief executive. He has been the global chief executive of Wunderman since 2015 where he is widely considered to have done a good job turning around the digital agency. He was on the WPP board for a decade as strategy director and is known by investors. Read sat at Sorrell’s right hand at WPP’s most recent presentation to the City in March (pictured above). He started his career at WPP fresh out of university when he wrote to Sorrell in 1989 unprompted. Read knows how to work in a crisis. Within months of starting at the group, WPP’s share price crashed in the 1990-91 recession and there was a debt-for-equity swap as Sorrell saved his company from collapse. He took a seven-year break in the second half of the 1990s when he tried consulting at Booz Allen Hamilton and ran an online start-up, WebRewards, during the first dotcom boom, before returning in 2002. Read has digital savvy, helping WPP to buy businesses such as AKQA, in his role as chief executive of WPP Digital. More recently, he has been at the forefront of the restructuring within WPP in the last 12 months after the group’s growth hit a wall and Sorrell came under pressure to simplify the group. Read’s empire grew as he integrated digital shop Possible and consulting firm Salmon into Wunderman. He told Campaign last year that his interests include wine and ski-ing. Asked what he had learnt from Sorrell, he replied: "Never give up." Scott, 49, has been much lower profile in his role as the chief operating officer of WPP Europe but has been a key adviser. He is known as Sorrell’s "go-to guy" for acquisitions and is well known in the corporate finance world. "Andrew has been across pretty much every M&A deal they’ve done," an investment banker says. Scott, an engineering graduate with an MBA from Insead, worked at management consulting firm LEK before joining WPP in around 1999. He became chief operating officer for Europe in 2013 when the region represented close to 40% of the group. Sorrell asked him at the time to "work with the leadership" of those agencies "to accelerate growth, enhance collaboration and drive the operating performance of our business in the region". Scott is listed in Companies House as a director on the boards of 90 companies, including many WPP subsidiaries and joint ventures such as AKQA, Finsbury Group and The & Partnership. "Andrew is like Mark – very nice, decent, straight and witty," one person who knows the pair said. Scott found himself in the headlines in January when it emerged he hosted a WPP table on behalf of Sorrell at the President’s Club, a male-only dining club with female hostesses, in London. Sorrell, who leaves at the age of 73, said in a farewell email to staff that Read and Scott are "a new generation of management" and "are well qualified and experienced in the board’s opinion, to deal with the geographic and technological opportunities and challenges our industry faces". The great, unresolved succession question had dogged Sorrell and WPP for years. A WPP source says a Read-Scott partnership was always the company's contingency plan in the event of an emergency succession, until a chief executive could be selected. But it is hard to believe that Read and Scott could have imagined that they would need to stand in for their mentor in such torrid and unexpected circumstances. Does the industry place too much focus on the cult of superstar leadership?